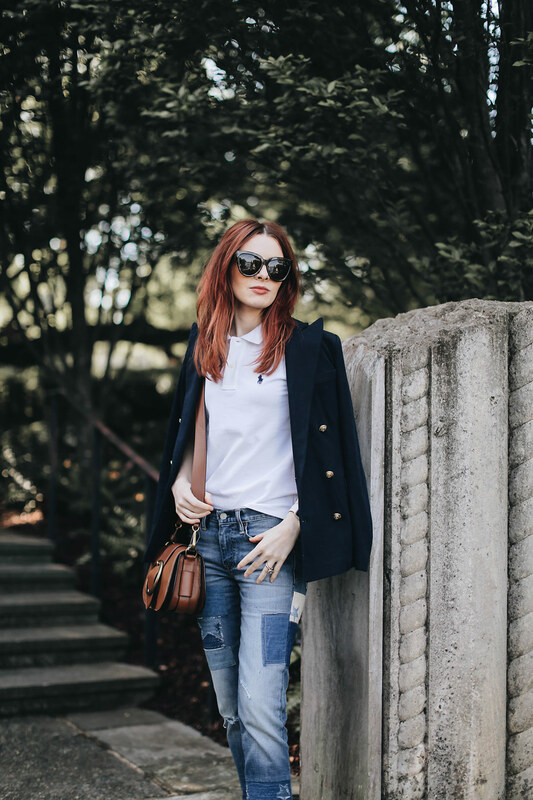 I like having a few preppy staples on hand to mix in with my outfits. A polo feels very modern to me right now and you can’t do better than a Ralph Lauren polo. It’s a classic for a reason. 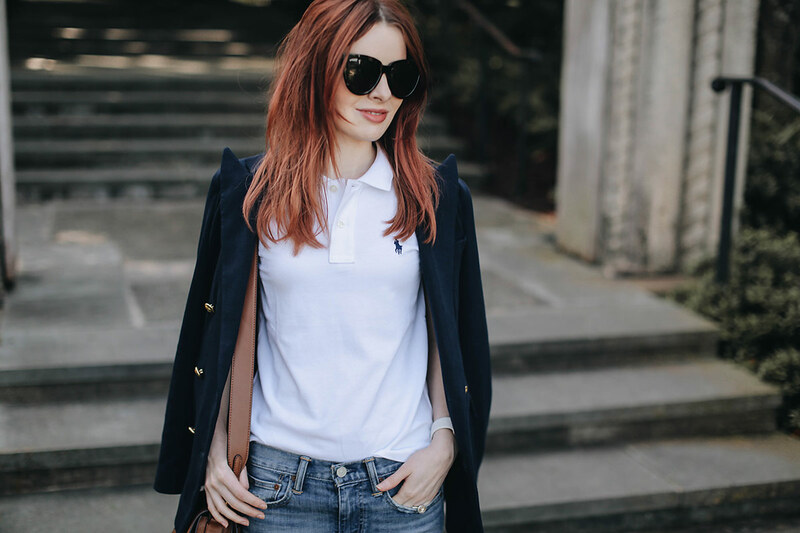 I used to wear the Rugby Ralph Lauren polos so this brings back some fond style memories. It’s a sleek look when paired with a nautical double breasted navy blazer and a cognac shoulder bag. These patchwork jeans are also Polo Ralph Lauren. They have fantastic patchwork adorning them. I love the star details on these jeans! You look so fabulous! Love the blazer! 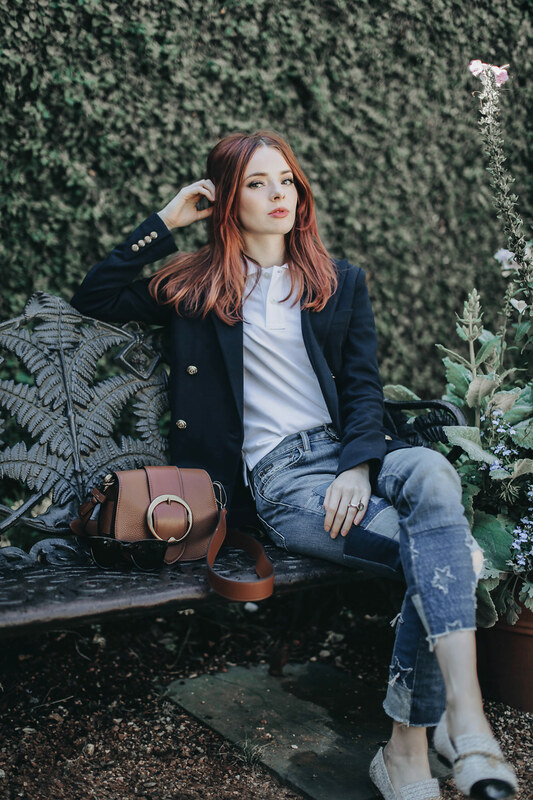 such a great styling…blazer plus jeans is such a cute outfit formula…love the shoes. This is such a cute casual look. I love the stars on the jeans. What a cool preppy style! I love how the navy really makes your hair pop! 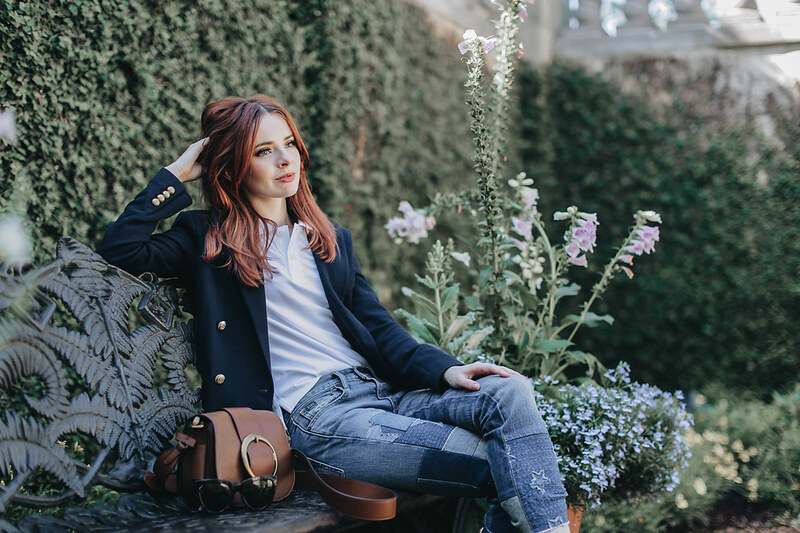 Such a lovely Combination of Shoes , Jeans and blazer. Looking beautiful . I love the stars in the jean, and the color of your hair is amazing – it really makes the look pop!